Kramer Electrical Limited is a family run business which was started in 1986 specialising initially in the contracting sector, then expanding in 1991 into the wholesale and retail area supplying accessories and lighting products to electrical contractors, hotels, offices and of course the general public. 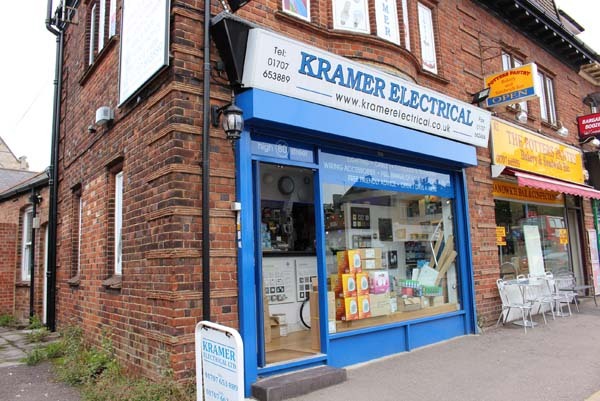 In January 2005 we decided to wind down the contracting side of the business to concentrate all our efforts to our High Street outlet in Potters Bar where we have been serving the local business community and the general public for over 25 years. We are well placed to service our customers in London which is only a few miles away.